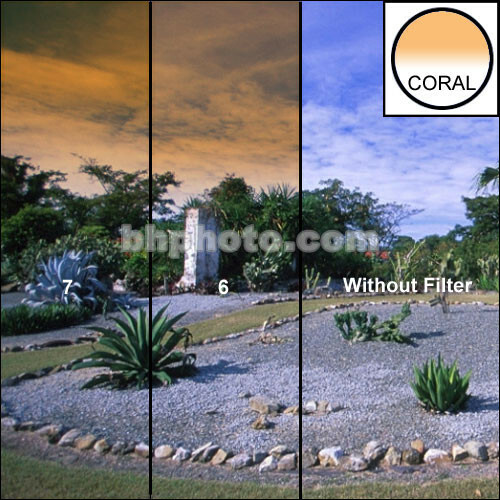 The 6.6 x 6.6" Color Graduated Coral 7 Filter from Formatt is one of the most widely used category of filters. It enhances reality, adding a touch of subtlety or drama to the image. A Coral 7 filter offers maximum warmth. If you started shooting in the morning and are working throughout the day and wish to have your late afternoon shots balanced to the same color as your morning shots, a stronger Coral filter is a benefit.